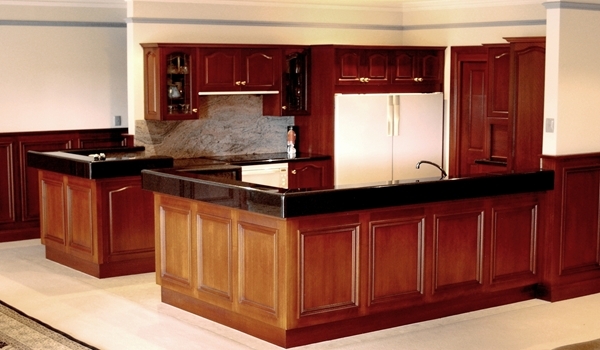 Different types of Timber Door Panels effect the Kitchen Style. When you want the real look and feel of timber for a Bespoke piece of Furniture, New Kitchen or Kitchen Renovation, but you prefer a Contemporary modern style, we like to recommend considering the option of solid timber frames with a flat solid timber panel or timber veneer inset panels. This style combines a modern clean line with the warmth and character of natural timbers, creating a transitional Scandinavian style that does not tend to date. From the light honey tones of the modern European Beech to the rich Burgundies of Jarrah you will be sure to find a timber to suit your decor and style. Solid Timber Raised Panel Doors. 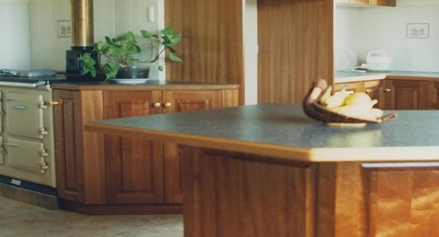 The styling of Traditional Classic Timber Kitchens and those of Country Style Kitchens have always made full use of the natural beauty of solid timber doors and panels. 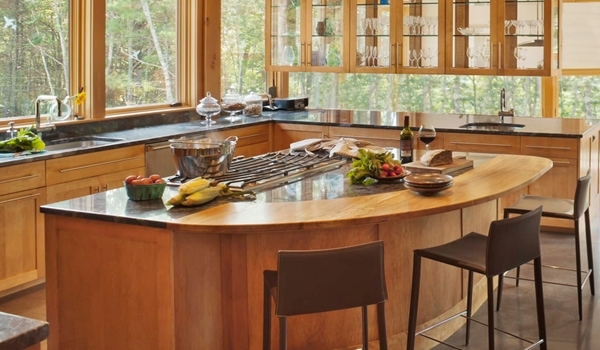 These warm and welcoming timber Kitchen styles have been around for hundreds of years and seem to never fall out of fashion. 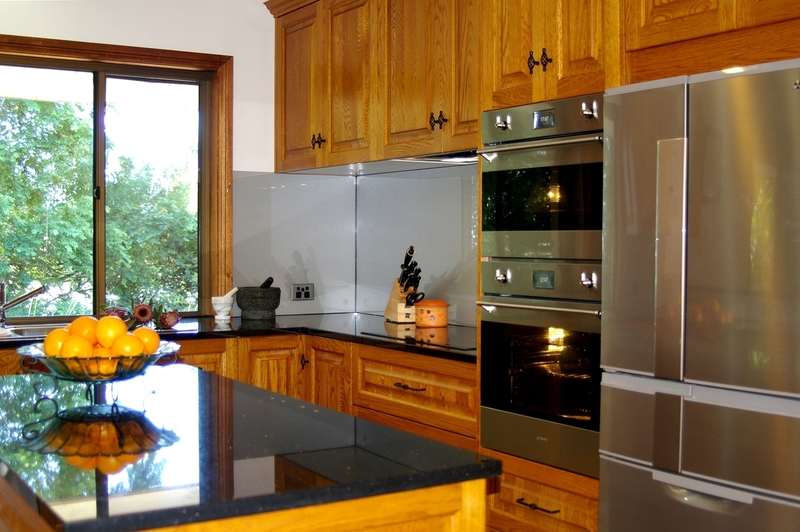 We make Solid timber Kitchens here in a range of timber species, which offer a variety of colours, depth of grain and figure. 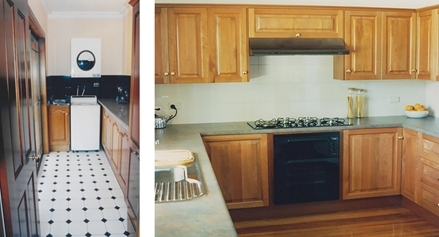 We also have a range of some 10, easy to clean, timber door designs to suit your preferred style of kitchen. 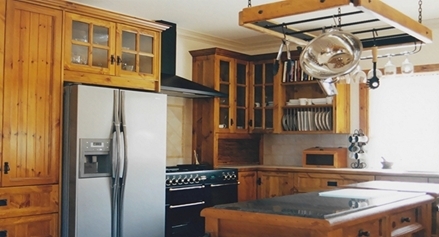 We also produce true Baltic Pine distressed kitchens and produce detailed woodcarving for that extra special piece. 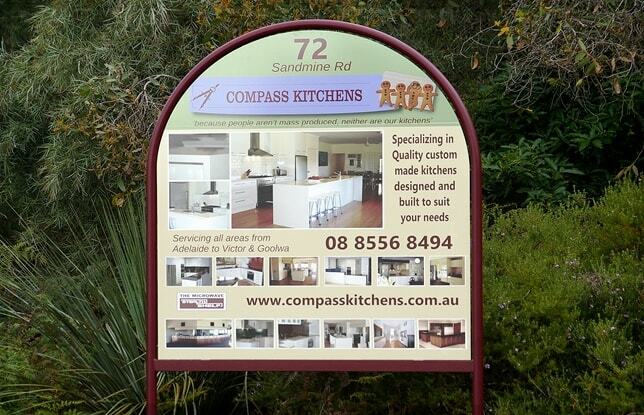 Compass Kitchens' craftsmen, carefully hand sand every piece of timber to a perfect finish. We only use quality two-pack lacquer to polish our timber projects. This Lacquer is easy for you to maintain, is water resistant and very durable, now available in a range of gloss levels. Professional polishing is the all-important final step. 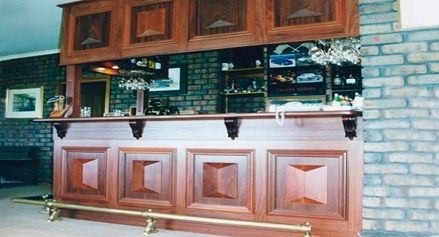 Our quality furniture polishing will ensure your investment in solid timber will always look and feel great.